What is the Permaculture Design Certificate? What does the typical Permaculture course cover? What is the course design project, and how practical is it? 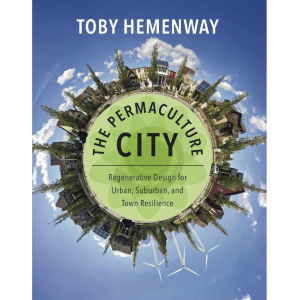 – What is the Permaculture Design Certificate? Formally known as the Permaculture Design Consultant’s Certificate, this document is awarded to those who attend all sessions of the design course (missed sessions can usually be made up later), and who successfully complete the design project. The certificate for our courses is offered by the Permaculture Institute USA, a 501c3 non-profit founded by Bill Mollison and Scott Pittman in 1996. The Institute is the principal certifying body for the United States. The certificate gives the holder the right to use the word “permaculture” in a business or other professional practice, and signifies successful completion of the permaculture design course. It is the pre-requisite to further training in permaculture design such as the two-year diploma program offered through the Institute, teacher training courses, and other advanced permaculture trainings. Holders of the certificate join a growing community of many thousands of design-course graduates who share a common body of knowledge. Certificates from the Permaculture Institute (USA) are particularly highly regarded due to the high standards of instruction set by the institute. The certificate does not mean that you are a “certified” permaculture designer, as the design course covers roughly the same amount of material as two college courses, which is not enough to make you a certified practitioner, just as two courses in chemistry would not make one a certified chemist! The design course is the first step in becoming a permaculture practitioner, whether in design, education, construction, or any one of many other fields. – What Does the Typical Permaculture Course Cover? The curriculum covers a wide variety of subjects. Below is a typical course schedule. This course will not make you an expert in any of the individual subjects covered, although in many cases we go into considerable depth. The point of the course is to introduce you to the relationships and synergies among the disciplines that permaculture connects. In a sense, permaculture creates an ecology made up of the many tools and concepts used to design sustainable communities.You will learn what these tools are and how to decide which to use, and when. The course will show you how these subjects connect. Then, after the course, you can go into whatever depth you desire in your areas of interest. The order of topics in a course may change due to the presence of guest instructors, and emphasis on certain subjects may shift due to the needs and focus of the participants, such as urban or rural residents, city planners, farmers, and so on. Course overview and logistics; permaculture defined; observation skills; ethics and the basis of ecological design; permaculture principles, indicators of sustainability, and how to use them. Designing from patterns to details; natural patterns as a design tool; the permaculture design process; methods of design; the Zone and Sector System. Ponds, swales, and keyline design; water in the permaculture landscape; greywater and blackwater system design; aquaculture. Soil structure and composition; soil ecology and nutrient flow; creating healthy soil; analyzing your soil; compost, nutrient teas, and mulches; cover crops and green manures; strategies for your own soil conditions. Trees and their many roles; designing plant communities; the orchard; food forest design; hedgerows, windbreaks, and shelterbelts; biomimicry. The functions of shelter; methods of green and natural building; designing shelter for climate and culture; living roofs; site selection; designing for disaster. Population, energy use, and Peak Oil; renewable energy strategies; appropriate technologies for heating and cooling, transportation, cooking, and construction. Community dynamics; intentional communities, co-housing, and group decision-making processes; city repair; ecovillages. Designing for urban, suburban, or rural situations. Tropical, dryland, and temperate strategy review. Money, finance, and local currency networks; permaculture in education; green business guilds and networks; building social capital. Design project preparation. Where to from here? Group design project presentations; talent show and final party. – Who Should Take This Course? Design professionals can add new qualifications to their resumes and offer improved services to their clients. Their designs tend to use fewer resources, work more efficiently, and are easier to maintain. Homeowners, gardeners, and farmers learn to increase the value and productivity of their property and to create home and land environments that better support their own needs as well as nature’s. Real estate, construction, and development professionals are able to better address the public’s growing concern for the environment and to reduce resource use and impacts. Educators learn to integrate permaculture design into their curriculum in ways that have been proven to raise student performance. Planners and public officials find holistic solutions to land-use and resource issues, and will identify and solve bottlenecks and impediments to implementing their programs. Energy, water, and waste-systems workers will learn holistic management strategies for integrating their projects into the larger community. Most participants find the course life-changing, and they form powerful new viewpoints and enhanced social networks. – What Do People Say About Our Courses? – Who Teaches This Course? 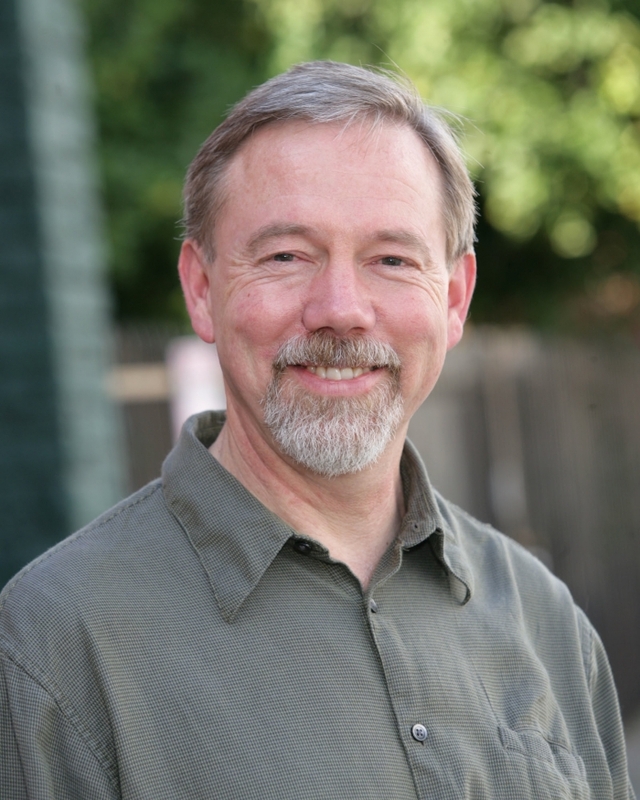 The principal instructor is Toby Hemenway, who will conduct most of the class sessions. Well-known guest instructors also assist at the course, and these include local experts from the region of the course venue, as well as some of the most experienced permaculture instructors in the world. In residential courses, usually one or two other instructors are present for most of the course, with local experts coming in to teach their specialties. In weekend courses, a guest instructor is present for most weekends, with 4 to 6 well-known guests coming to each course. Also, local experts will visit our weekend courses to cover their specific topics. Biographies of regular guests, including Penny Livingston, Douglas Bullock, and Brad Lancaster can be found here. – How Is The Course Presented? The design course offers 12 days of instruction, presenting the brilliantly successful and transformative curriculum developed by Bill Mollison and The Permaculture Institute as a certificate course. It covers a minimum of 72 hours of material. We offer our course in two principal formats: As a two-week residential course, and as a 12 days of weekend workshops usually given one weekend per month. The course is adapted to a wide variety of learning styles and is presented via lecture, images, video, group discussion, individual and group exercises, and design projects. Class usually lasts from 9AM to 5PM. Residential courses often include evening sessions. Some courses offer field trips and hands-on exercises. Weekend courses usually include readings and modest amounts of other homework, as well as occasional meetings of design project teams. Each day of the course builds on the knowledge gained in earlier sessions in what is known as spiral learning, where we revisit some of the topics presented earlier but from a more advanced or broader perspective at each pass. This not only reinforces the subjects and makes learning easier, but it shows how each subject is related to the others. By the end of the course, this whole-systems approach will give you regenerative tools to let you redesign or improve almost any aspect of your life, from your garden and house to your livelihood, relationships, and community. – What Will I Get From This Course? This course will give you holistic decision-making tools to create and practice sustainable solutions for food, water, and energy security; regenerative shelter; building social capital; developing a sustainable economy, renewing local communities on all scales, and many other needs. It will allow you to find solutions to the challenges presented by life in an industrial society. Permaculture uses ecological principles to design sustainable human communities that are harmoniously woven into the environment and that aim to have the diversity, stability, and resilience of natural ecosystems. It offers a framework for critical decision-making and right livelihood. The permaculture design course teaches whole-systems thinking. What does that mean? Most of the time we’re taught to think in terms of things: the parts and pieces that make up our world. This approach lets us exclude supposed “externalities” like pollution and side effects, which often come back to haunt us later on. Systems thinking focuses on the relationships among the parts, the features that emerge from these relationships (often unexpectedly, just as suburban sprawl emerged from transportation improvements), and how the parts come together to make up greater wholes. Systems thinking is the key to sustainable living.This certificate course will introduce you to strategies and tools for designing and living in landscapes, homes, businesses, and communities that are regenerative—that is, that go beyond not just depleting resources and the human spirit, but renewing and invigorating them. In this course you will meet people concerned about the same things you are, and be inspired by them, and in many cases, form new collaborative relationships with them. Many people find this course to be one of the most transformative experiences of their life. – What is the course design project, and how practical is it? The final design project is a permaculture design of a site or business practice prepared by groups of 5-10 participants. Students choose the design sites, which range from residential yards to parks, local businesses, and city policies and plans. The final presentation encapsulates and summarizes what the students have learned in the course, and is presented by each design group at the final session. It gives each student a chance to work on a real design, with coaching from experienced permaculture designers. Though implementation is not part of the course, many of these designs go on to be built in part or in full after the course. Piper’s Orchard, a heritage homestead orchard owned by the City of Seattle Parks Department that has been reinvigorated by a permaculture design that conserves water, boosts biodiversity, and preserves the legacy of the orchard. The plan can be viewed here. The Tribal Gathering Garden in Cully Park, Portland, Oregon. This 20,000 square foot portion of a city park being built in a reclaimed brownfield was designed in part by students in one of our Portland PDCs, and will be used by Native Americans to practice traditional plant-tending methods. A video of the garden dedication ceremony is here. A Stormwater Management Plan for the city of Petaluma, CA was developed in one of our PDCs with the aid of a high-ranking city official who took the course, and has been presented to city council. A plan to improve the abandoned Francisco Reservoir in San Francisco has been submitted to the city by the firm 450 Architects. The plan, which can be viewed here, was developed during one of our PDCs, and members of the design group have met with the mayor, city supervisor, and other officials in San Francisco to discuss the plan, and have the support of many area residents.